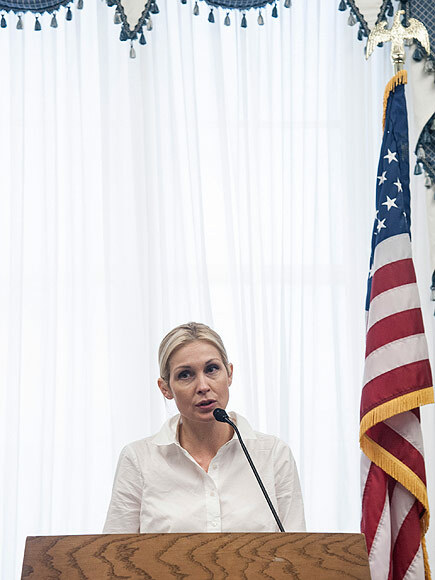 As she awaits yet another hearing on the fate of her two children, Kelly Rutherford headed to Washington, D.C., to fight for the rights of parents facing their own international custody battles. Rutherford, 46, spoke at a congressional briefing with Rep. Sheila Jackson Lee from Texas on Thursday, participating on behalf of the Children’s Justice Campaign, an advocacy group she founded based on her own struggle to bring son Hermes, 8, and daughter Helena, 6, home to the United States from Monaco, where they have lived with their father, German businessman Daniel Giersch, since 2012. “Today’s hearing was a wonderful bipartisan showing of support for American families in the midst of international parental child abduction nightmares,” she tells PEOPLE in a statement. “I look forward to continuing to lend my voice to parents who are struggling with these profoundly unjust situations. Jackson, 65, chairs the bipartisan House Congressional Children’s Caucus. Rep. Christopher Smith and Rep. Ted Lieu also attended and spoke at the briefing. International parental child abduction “occurs when one parent unlawfully moves a child from his or her country of residence for the purpose of denying the other parent access to the child,” according to a CRC news release. About 1,000 cases have been reported to the State Department this year. Rutherford and Giersch have been locked in a custody dispute for six years. A Monaco judge ruled Monday that their children will spend their summer with their mother in United States, as they have in years past. Giersch, 41, wants the kids to continue to reside with him in the European principality, but Rutherford argues they should be returned to American soil. The parents are due in Los Angeles court July 9. Subcommittee Hearing: The Goldman Act to Return Abducted American Children: Reviewing Obama Administration Implementation | House Committee on Foreign Affairs – Ed Royce, Chairman. A new law was supposed to enlist the State Department in helping to bring the kids back, but Tokyo has talked its way out of cooperating. The U.S. State Department last month released its first annual report on countries that refuse to return American children who have been abducted by a parent and taken abroad. Conspicuously absent from the worst-offenders list in the report is the country with the world’s worst record of cooperation: Japan. Tokyo has never issued and enforced a return order for any one of the more than 50 American children currently held captive there by a parent who violated the wishes of another parent in taking the child overseas. This is in addition to the hundreds of previously abducted American children who became adults without knowing the love, culture and care of their American parent. Last year Congress passed the Sean and David Goldman International Child Abduction Prevention and Return Act, which requires that the State Department hold countries accountable if an abduction case is still unresolved a year after State requests assistance in the return of a child. As the prime sponsor of the Goldman Act, I believe it is important to remind the State Department of its obligations under the law. First, State must accurately count all unresolved cases in its annual report. Second, the secretary of state needs to take action against all countries that have 30% or more unresolved cases, or that are otherwise noncompliant in helping to resolve abduction cases. When it comes to Japan, State falls far short on both counts. Initially, the law seemed effective at bringing Japan’s attention to the issue. Tokyo was so worried about being found noncompliant in the report and put on the worst-offenders list that it sent a high-level delegation to the U.S. to meet with Ambassador Susan Jacobs just before the report was due and explain its lack of compliance. 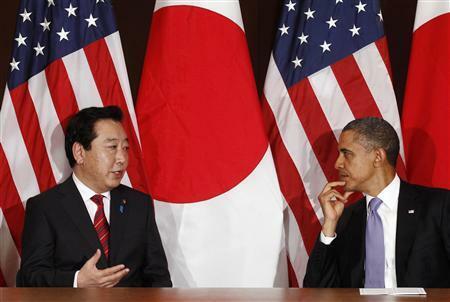 For State, it seems, that meeting was enough to absolve Japan. 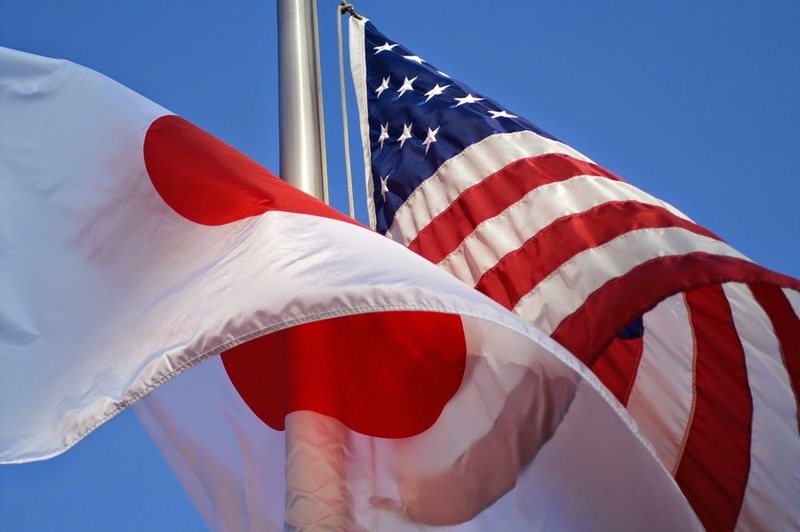 Rather than provide the report as required by law, State later delivered to Congress a table loaded with zeroes in the “unresolved” category of countries and then, adding insult to injury, listed Japan with a 43% abduction-resolution rate. The more than 50 American parents who have spent years trying to bring their children home were shocked and devastated. With the new law, they thought their country would finally stand with them in working to bring their children home. Instead, the State Department attempted an end-run around the Goldman Act, squandering any real leverage in the process. State’s failure to hold Japan accountable delegitimizes the entire report and undermines its purpose. Other countries can now look at it as a deal-making political trope. It is truly a waste of what could have been a highly effective diplomatic tool. Furthermore, State’s continued refusal to reveal each country’s real number of unresolved cases, even when required to do so by law, should worry every American who believes the U.S. government should be honest about successes and failures in the return of American abducted children. I have asked State repeatedly for the number of unresolved cases in India, for instance, only to be stonewalled. Congress passed the Goldman Act to compel transparency and action. Yet what the State Department is doing is ultimately perpetuating the status quo, where far less than half of abducted American children are reunited with their families. International parental child abduction rips children from their homes and uproots their lives, alienating them from a left-behind parent who loves them and whom they have a right to know. Abducted children often lose their relationship with their parent, half of their identity and half of their culture. Child abduction is child abuse. Congress went to great lengths to reunite these families, passing the Goldman Act unanimously. But a law is only as good as its implementation. A congressional hearing on June 11 featured anguished parents of children abducted to and currently held in Japan, India and elsewhere. With hope, the State Department will learn from their stories and follow through on enforcement in the future. Mr. Smith represents New Jersey’s fourth Congressional district. The information set out below has appeared – it is not clear when exactly – on the Consulate-General of Japan in Edinburgh website; there does not appear to be an equivalent entry on the Japan Embassy in London website, at least not in the English section. I reproduce the text in full below – to guard against the possibility of future removal – but the original web page can be accessed here. Without at any stage using the word abduction, the page states that in cases where a (non-Japanese) parent has previously registered an objection to the issue of a chid passport with the Consulate General, a passport will “usually” only be issued where both parents consent – in circumstances where there is no pre-registered objection, the consent of one parent would suffice. On one view, this is a case of “too little, too late” in the sense that the wrongful removal of a child can now, in theory, be put right through the Hague Convention and, in any event, this web page does not suggest that, even with one parent objecting, a passport will not be issued. It also, of course, does nothing to address abductions taking place on the basis of previously-issued and still valid passports. However the inclusion of this information can be said to suggest that Japan is possibly beginning to take these issues more seriously than in the past. Recently, as a number of international marriages has increased, there have been cases in which one parent, whose marriage has faced a difficulty and who has a different nationality from his/her spouse, takes his/her child back to his/her home country against the law of country of residence. Such cases have raised concern, and the following points regarding Japanese passport application for minors in relation with the child custody issue should be noted. Regarding the application for Japanese passport of minors, Japan issues passports by having a signature of a custodian as a legal representative to the application form. However, if the other parent has expressed* his/her disagreement on the issuance of the child’s passport to the Consulate General of Japan in Edinburgh beforehand, the passport will usually be issued after the verification of the consent of both parents. In this verification process, the Consulate General of Japan in Edinburgh checks in principle with the parent who disagreed beforehand on the issuance of child’s passport whether he/she is now willing to submit a “Letter of Consent for an Application of Passport”. The passport will be issued after the submission of the Letter. In the UK, taking a child abroad without consent of his/her spouse who has parental authority is accounted to criminal liability (Please see the Directgov’s information). In fact, there are cases in which parent taking a child was arrested of child abduction when he/she re-entered the country, or that parent was placed on the international wanted list of International Criminal Police Organization (ICPO). To prevent Japanese citizens from such disadvantages, the Consulate General of Japan in Edinburgh is checking verbally to confirm the existence of agreement of both parents on the application for child’s passport, even if there is no declaration of disagreement from one parent. They call themselves Expat Stuck Mums, but this is no club of cheery women living the high life in the sun – instead, they are all battling for the right to take their children home from a foreign country, under a sometimes baffling international legal convention. And their numbers are growing. At the root of their problem is what happens when a couple from the same country split up after a move abroad, and one parent decides they want to stay in the new country. The Hague convention on the Civil Aspects of International Parental Child Abduction 1980 stipulates that one parent cannot take a child from its country of “habitual residence” without the consent of the other parent, and that any request to leave the country must be settled in the family court of that country. This law does not take in to account short-term moves or trial migrations, and there is no fixed definition of what constitutes a child’s habitual residence: in some cases it can change the moment a plane touches the ground on foreign soil. It depends on individual judges, often in small courts in rural areas where these sorts of family disputes are new and unfamiliar to local cultures. For the Expat Stuck Mums, they face being prosecuted for parental child abduction if they return home with their children, or accused of abandoning them if they go home alone to try to fight the legal system from their home country. Increasingly mobile lifestyles led to a 45% increase in abduction cases bought under the Hague convention between 2003 and 2008, involving at least 5,000 children. This means that growing numbers of parents – the vast majority of whom are mothers – are being forced to return to foreign countries with their children where they must fight for permission for all of them to return home. Experts say another big increase will be revealed in the 2017 review of the Hague convention. Family cases going through the foreign courts take, on average, two to five years to be resolved and can cost tens of thousands of pounds. Expat Stuck Mums is campaigning for a two-year period where same-nationality families retain the right to return home without permission from a foreign court. The Law Commission recently recommended strengthening the law on international kidnapping, meaning that parents who abduct their children will face 14 years in prison. The new government must respond by mid-August. These British mums all moved abroad with their families, naively believing that as British citizens with British children they could move home again anytime. Here are their stories. Wendy: I went abroad with my son and his father in 2013. We’d been together a long time but our relationship had been over for three months because of his violence. I went on the understanding his father and I would live together as friends, and I could come back whenever I wanted. Six months after we arrived, the violence began again. After five months, I went to the police. He was arrested and sentenced to six months in prison. When the sentence was handed down, he announced he would appeal. The judge then said that because he’d be allowed to stay out of prison while the appeal went through and I had no money of my own, he was being given temporary custody of our son. I was told that if I took my son back home, I would be abducting him under the Hague convention. I was devastated. I thought because we were all British and because this was Europe, everything would remain under British law. During the next six months, I had to go back to court four times. It cost me €15,000 (£10,750). When I told the family court I had no money left and had to return to the UK, they ordered me to return my son to his father. I walked out of court with absolutely nothing: I had no home, no money – my ex had destroyed all my possessions and my passport – but, most importantly, no son. 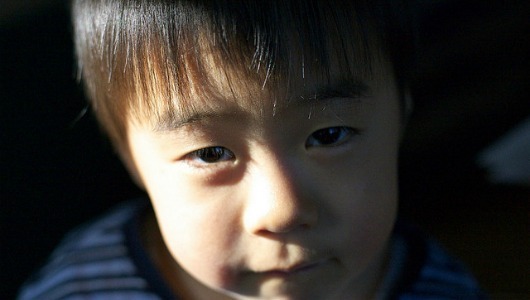 The day after I arrived home, I received a Skype call from my son. He told me through a barrage of tears that he didn’t want to talk to me ever again. His father was also standing in the background shouting abuse at me. I haven’t been able to talk to my son from that day to this. I can’t afford to continue with the court case abroad and can’t get legal aid to fight in the European court. I just hope that something changes legally with the Hague convention so I can take my case to the British courts. Otherwise, I have to hope that when my son reaches 16, he’ll come looking for me. I’m never not worrying about him. I rely on friends who live near his father to contact me if they see him and let me know how he seems. Otherwise, I’m reduced to looking at the webcams of bars I know his father drinks in. I occasionally get a glimpse of him. Kim: I met my husband in 2002 and we were married a year later. But a month after that, when I found I was pregnant, he became violent and controlling. When our daughter was two, we moved to France for my husband’s work and my life became a total misery. My husband was unfaithful, drinking, taking drugs and violent, often in front of our child. After a year and a half, I managed to move out, but each time he turned up he was drunk and violent. Then one day he threatened to “finish me off”. I took advice from a local lawyer who now I realise had no knowledge of the Hague convention, and I fled home to Britain. I sent him an email as soon as I arrived and went to a lawyer. I went to court and was awarded full custody. Then Cafcass [the Children and Family Court Advisory and Support Service] told me there were 21 charges against my husband from before we met. They wouldn’t tell me what they were, but said he should have no contact with my daughter until further investigations had been carried out. A few weeks after that, my husband filed child-abduction charges against me in France and I found myself defending myself in the high court in London. My husband didn’t turn up but I was told that even if I won my case in the UK, the French courts would deport me to face the charges there. So I volunteered to return with my daughter to France. We were met at the airport check-in by an official who took our travel documents and escorted us on to the plane. When we landed, we were met by French lawyers who confiscated our passports. But now my husband disappeared. He didn’t turn up to any of the dates the French court kept setting but the courts nevertheless kept our passports. Eventually it turned out my husband wasn’t even in France any more: he had moved to Cyprus. Yet the case in France continued without him. It took a year and a half before I was allowed to take my daughter home. Had my friend not lent us his flat in Paris and the €80,000 it all ended up costing, I would have been homeless and penniless for all this time. Because my husband had disappeared, my daughter would have been taken into care, possibly permanently. I still can’t believe what happened to us. We had been living in France for two years together but we were all British citizens. I now suffer from post-traumatic stress disorder and live with anxiety and panic attacks. I never feel safe any more. Jane: I have been trapped in Canada with two young Irish children since July. I am Irish, my husband is Irish and my children were born in Ireland. I’m living in extreme isolation as I am in hiding while my husband awaits trial for offences against me. He is out on bail. I fear that we could be trapped in this limbo for years. We moved to Canada in July 2012 with our son and daughter, then aged four and one, and my 15-year-old daughter from a previous relationship. I returned to Ireland with all the children in November 2013 because the abuse and threats in the relationship had escalated to a dangerous point. I went back to Canada in February 2014 with the two youngest children because my husband promised to change and said I could go home in June with the children if things didn’t work out. My eldest daughter stayed behind with my mother. When we arrived in Canada, my husband took our passports away. Now that we were trapped, his behaviour got even more dangerous. In June 2014, I fled the family home with nothing except my children and their teddies. We moved into a homeless shelter. I discovered that I had wrongly presumed that as my children were Irish and had no connection to Canada that I could take them home. I had no idea that trying to go home could be seen as abduction but I couldn’t travel anyway as we had no passports. I was given a lawyer via legal aid, but the family court interim order said the children could not leave the province, yet we had nowhere to live and no income. My husband has been committed to stand trial. If he’s convicted we will all possibly be ineligible to remain here anyway but I can’t access anything in our immigration file as it is in his name. I have no idea how long we will be here in limbo. If we’re not deported by immigration, we’ll have to go through the family court, which will take another year or two. The positive thing is that I have my children. But my eldest daughter, back in Ireland, hasn’t seen me or her siblings in over a year. I have been told that we have a good chance of eventually going home, but there is no guarantee and the process will take years. I will shortly lose my job back home because I will have been away for too long. My children ask all the time when we will get to go home but I have no answer to give them other than I’m doing my best. We have no one here. All my six-year-old son wanted from Santa for Christmas was a passport. If I had been aware of the fact that Irish children could be forced to remain in Canada, with no right to go home, I would never have come. I feel families should be warned of the dangers of taking children abroad, no matter how temporarily. Jessica: On Tuesday, 21 April, I was told that after years of fighting deportation from New Zealand without my children, I will now be allowed to stay – but without a visa. This means I will shortly lose my home and, because all my savings and my parents’ savings have been swallowed up by custody battles here, that means I will also lose my children. It’s devastating. I’m desperate. I can’t believe what’s happening to me. In May 2012, a Hague convention ruling by a New Zealand judge ruled that after only 43 days of being in New Zealand with my British husband – who had only moved to the country six months previously himself – my British-born and raised children had lost their “habitual residence” in the UK and had to stay in New Zealand. My own partnership visa, which became void when my marriage broke down, wasn’t taken into consideration. For the past three years, I’ve been fighting for the right to stay here with my children – now aged five and seven – but on 25 June, the last temporary work visa I can get will expire. My husband came out here in May 2011 intending to stay. We both knew our marriage was over but I came out because the children hadn’t seen him for six months and I thought it was the best thing to do. I went home after five weeks so the children could have some “Daddy time”. They had dated, return aeroplane tickets and I had an agreement with my husband’s sister that we’d do a handover with them in Singapore on a specific date. I discovered that during the first week of my return to the UK, my husband had filed for full custody of the children through the New Zealand courts. I immediately filed an order under the Hague convention to get my children returned home. At this point they had been in the country for 21 days. The ruling took eight months. The New Zealand judge also approved an Order Preventing Removal stopping the children leaving the country. That was when I decided to move to New Zealand permanently. When I arrived, my children didn’t even recognise me. Because they had been away from me for so long I had lost parental responsibility. It took four and a half months before the courts gave me permission to see my children again on a regular basis, but I now have joint custody. I now have a job and a rented house here. It’s been extremely hard. The court case has been very expensive and I often haven’t had enough money for basics, such as food and toilet paper. But I had my children and that was what mattered. Now, however, I’ve been told that even though I cannot be separated from the children, immigration doesn’t have to give me a visa. I will never leave my children, but I don’t know what I’ll do when I have no house, no money and they’ve been taken away from me. This is an absolutely crazy, despicable situation.